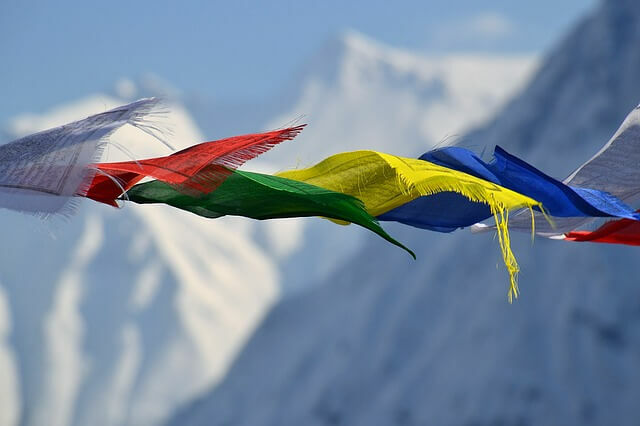 Nepal, Tibet, and Bhutan – these three names may conjure very similar and undistinguishable visuals for someone who is not familiar with the Asian history and geography. Althoughthere are major parallels like close geographical proximity and widespread reach of Buddhism, these three regions are worlds apart and have their own set of uniqueness and experiences to offer. Here we have listed down ….. points that shed some light on how these three budding Himalayan tourist destinations differ from each other. Landlocked Nepal has an impressively rich geography. From the vast grasslands of southern plains to lush mid hills to mountainous north, Nepal boasts of unimpeachable topography. With one-third (800km/2400km) of the Himalayan belt lying in Nepal, the country is home to eight of the world’s ten tallest peaks, including the highest point on earth, Mount Everest. The autonomous region of Tibet, also known as “Bod” by Tibetans, is a plateau region in China consistently above 4000 meters. Interestingly, the rather dry plateau is the source of some of the major rivers of Asia, including the Indus River. With 4 peaks above 8,000 meter and 38 peaks above 7,000 meter, Tibet has rightly earned “Roof of the World” nickname for itself. Sandwiched between India and Tibet, Bhutan is a rugged land of steep mountains and deep valleys. With lowlands at its southern front, lower Himalayans covering the central areas, and northern borders dominated with massive peaks, it’s hard to believe that this tiny kingdom is packed with so much of geographical diversity. A whopping 80% of people in Nepal follow Hinduism, while around 10% follow Buddhism. But nowhere in the world will you find a country where these two religions are so deeply intertwined that will give you a hard time distinguishing which is which. Throughout the calendar year, Nepal celebrates iconic and ancient festivals like Dashain and Tihar, Buddha Purnima, Lhosar, Indra Jatra and so on. Bon is the ancient religion of Tibet, but nowadays, the dominant influence is Tibetan Buddhism, a distinctive form of Mahayana and Vajrayana, which was introduced in the 8th century. According to recent estimates, 91% of Tibetans are bound by Tibetan Buddhism, while just 12.5% of Tibetans follow Bon or other folk religions. Nonetheless, Tibet celebrates some very spectacular and joyous festivals like Butter Lantern Festival, Ongkor Festival, and Sagar Dawa Festival. Vajrayana Buddhism is not just the official religion of Bhutan, it is a way of life and conduct. While 75% of Bhutanese people follow Vajrayana Buddhism under different sects, the remaining 25% are bound by Hinduism. Characterized by super-charged dances and colorful traditional attires, some of Bhutan’s major festivals are ThimphuTshechu, Paro Tshechu, and Punakha Drubchen. Although Nepal cannot be directly accessed from Europe or America, there are handful of major airlines connecting Kathmandu to hubs like Dubai, Delhi, and Dubai. You can receive a visa on arrival and travel independently for most parts. However, if you plan to trek in Himalayans, it is wise to travel through a private travel agency because they will arrange for absolutely everything you need including specific permits and passes. Unlike Nepal, in Bhutan’s context, Druk Air and Bhutan Airlines are the only two choices for the final leg of flights. There are few transit points like Kathmandu and Calcutta, but do not get surprised if you have to stay overnight at your transit point. Moreover, you will only be granted a tourist visa if you have booked a guide with a licensed tour operator for the whole duration of your stay. Travelers will also have to pay an average of USD $250 per day for a pre-determined and well-orchestrated travel itinerary. Due to the sensitivity surrounding Tibet’s sovereignty, its borders are not as welcoming as that of Nepal. To get there, you will need to board a plane or a train from one of China’s major cities. Alternatively, you can travel by flight from Kathmandu. It is not possible to enter Tibet as a backpacker and travel independently. You will need to book your travels through a licensed travel operation, preferably one operating in Tibet itself, China, or Nepal. Travelers must follow an organized itinerary, have a Chinese visa, and a permit to visit Tibet. So, in these ways, travelling to Nepal, Tibet, and Bhutan are three completely different experiences, although they may seem similar at first glance. You need to consider different factors like reachability, destination and activity wish-list, extent of freedom, and your expectations before deciding on a vacation destination.